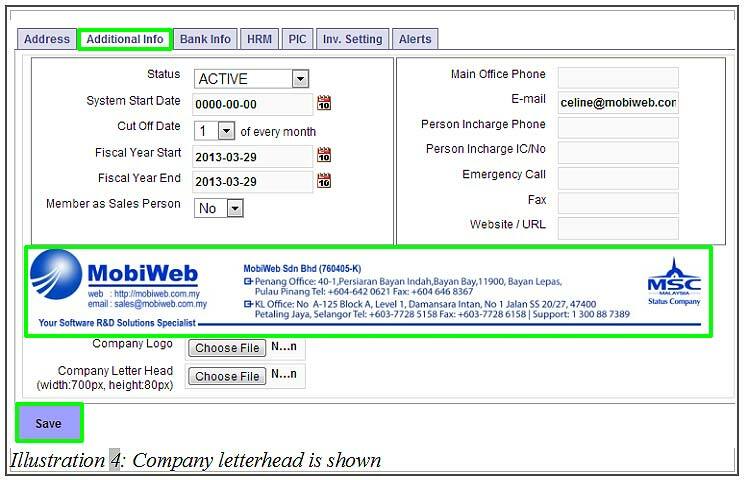 BMO Online Inventory Malaysia allows you to upload company letterhead. This company letterhead could be useful when your invoices, quotations, cash sales and so on needs to be personalised to your company especially when sending email to customers. Company letterhead could be used when sending a task email as well. In this tutorial, we will guide you on how to create company letterhead. 1. 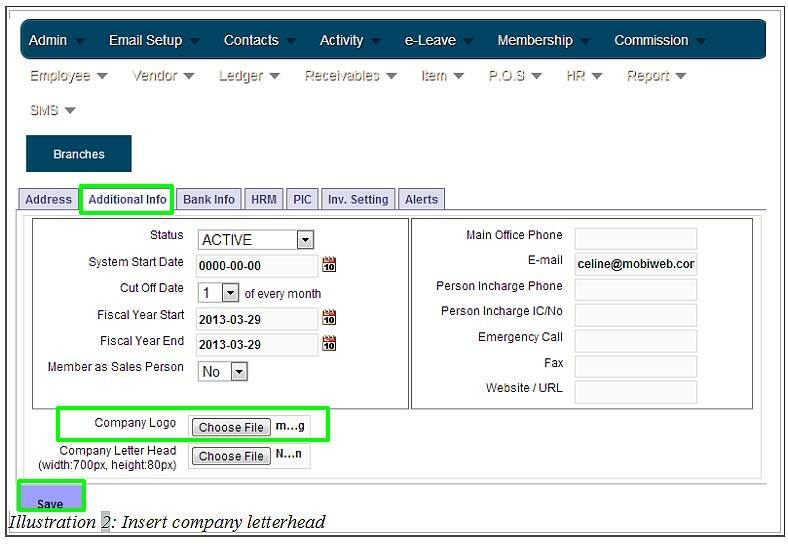 Go to Admin > Company info as illustrated below. 2. From here, click on Additional info tab, followed by Choose File button beside Company Logo. Choose your company letterhead image from your local computer. Save the file uploaded letterhead image by clicking on Save button. 3. You will be notified that the company info has been updated successfully. 4. Refresh your system once again to view your company letterhead as shown below. 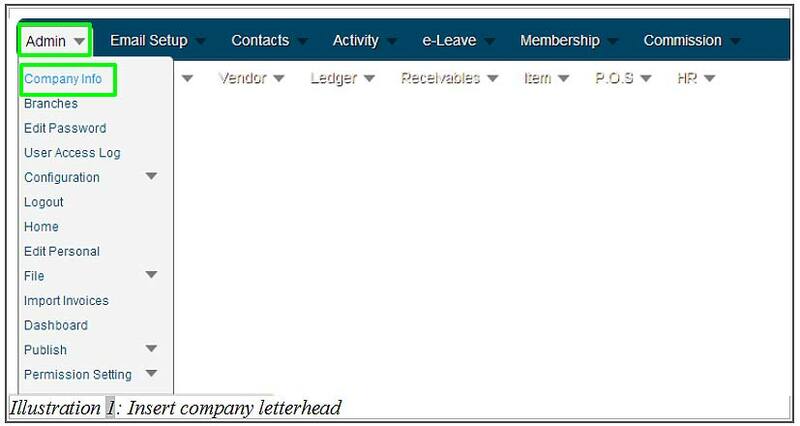 If you would like to change the letterhead, you may repeat step 2, upload the new letterhead and complete the step by clicking Save.